In 2012, our Cartoon Network sponsorships & promotions team was approached by Hasbro to pitch network integration ideas for the roll-out of Hasbro Gaming's refreshed Connect 4 product line and their online website in Latin America. They selected my spot idea, which featured two friends competing head-to-head within a Cartoon Network branded environment. 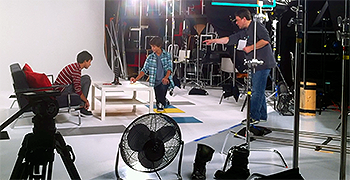 We shot the two game scenarios on a fairly simple set in front of a white cyc backdrop using the C500 camera. Artifact Design then created 3D set extensions, logos, and other animated elements to complete the look of the branded environment surrounding the two actors. Since we had a limited budget, a fairly tight shooting schedule, and only a handful of crew members, I decided to experiment with a new iPad app from Reel Apps Inc called Shot Lister (see below). 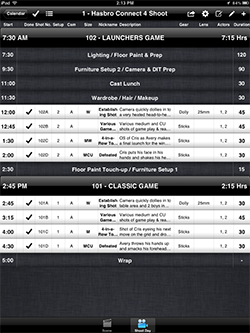 With Shot Lister, I was able to refine my shot list and shooting schedule ahead of time, then use their unique "Live" production mode on the day of the shoot to know minute-by-minute how my day was progressing. 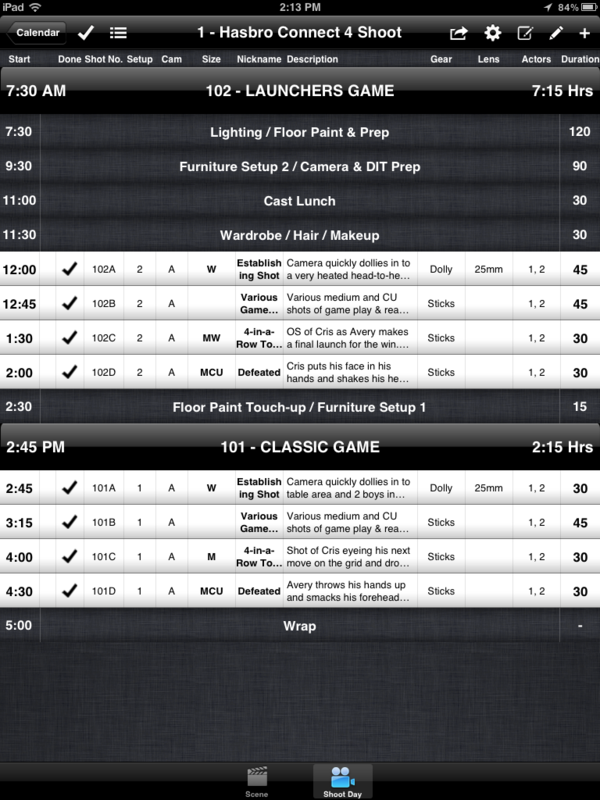 As both the director and the producer on the project, this terrific application allowed me to reorganize my shoot day in a matter of seconds to keep the production on schedule.